The bestselling author of Acid Dreams tells the great American pot story—a panoramic, character-driven saga that examines the medical, recreational, scientific, and economic dimensions of the world’s most controversial plant. 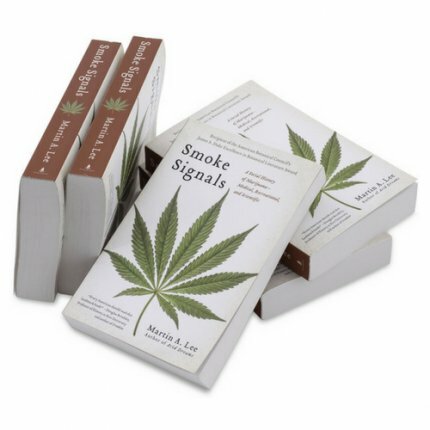 Martin A. Lee traces the dramatic social history of marijuana from its origins to its emergence in the 1960s as a defining force in a culture war that has never ceased. Lee describes how the illicit marijuana subculture overcame government opposition and morphed into a dynamic, multibillion-dollar industry. Lee, an award-winning investigative journalist, draws attention to underreported scientific breakthroughs that are reshaping the therapeutic landscape. By mining the plant’s rich pharmacopoeia, medical researchers have developed promising treatments for cancer, heart disease, Alzheimer’s, diabetes, chronic pain, and many other conditions that are beyond the reach of conventional cures.